New Mexico Now seeks to strengthen and expand early childhood education by advocating for Universal Pre-K in New Mexico. The Universal Pre-K proposal, sponsored by Senator Bill Soules, creates more pre-K classrooms so that anyone who wants to send their child to preschool can. Children who have access to pre-K read earlier, are better prepared for kindergarten and elementary school, are more likely to graduate, and perform better over the long-term. Universal pre-K can help create opportunity and a level playing field for New Mexico families so more children can compete and succeed in tomorrow's economy. Increase educator pay, and ensure teachers responsible for children at this early stage qualify for basic health care benefits and get training and professional development. Most early childhood teachers in private pre-K centers are paid low wages – so low they often have to live on food stamps and Medicaid. There are over 14,000 New Mexico children who are eligible for pre-K but don’t have access. There is no real path to universal pre-K without the funding formula. Funding pre-K through the SEG creates stable funding and is the only way to ensure that high-quality, full-day pre-K is delivered equitably to every corner of the state. New Mexico Now. PO Box 7748, Albuquerque, NM 87194. Copyright 2019. 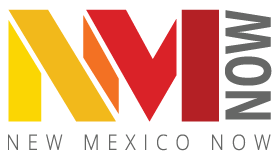 New Mexico Now, a 501(c)3 not-for-profit organization.